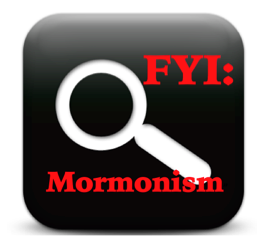 Mormons believe that there are four sources of divinely inspired words, not just one: 1) The Bible “as far as it is translated correctly.” Which verses are considered incorrectly translated is not always made clear. 2) The Book of Mormon, which was “translated” by Smith and published in 1830. Smith claimed it is the “most correct book” on earth and that a person can get closer to God by following its precepts “than by any other book.” 3) The Doctrine and Covenants, containing a collection of modern revelations regarding the “Church of Jesus Christ as it has been restored.” 4) The Pearl of the Great Price, which is considered by Mormons to “clarify” doctrines and teachings that were lost from the Bible and adds its own information about the earth’s creation. There are many gods, (Mormon Doctrine, p. 163). There is a mother goddess, (Articles of Faith, by James Talmage, p. 443). God used to be a man on another planet, (Mormon Doctrine, p. 321). After you become a good Mormon, you have the potential of becoming a god, (Teachings of the Prophet Joseph Smith, pages 345-347, 354). God resides near a star called Kolob, Pearl of Great Price, pages 34-35; Mormon Doctrine, p. 428). The Trinity is three separate gods, (James Talmage, Articles of Faith, p. 35). God is increasing in knowledge, (Joseph Smith, Journal of Discourses, Vol. 6, p. 120). God the Father has a body of flesh and bones, (Doctrine and Covenants, 130:22). God is married to his goddess wife and has spirit children, (Mormon Doctrine p. 516). There is no salvation without accepting Joseph Smith as a prophet of God, (Doctrines of Salvation, Vol. 1, p. 188). The Holy Ghost is a male personage, (A Marvelous Work and a Wonder, p 118; Journal of Discources, Vol. 5, page 179). I Am A Mormon. Why Should I Become A Christian? Was Joseph Smith Really A Prophet From God? Who Really Wrote the Book of Mormon?–Craig Criddle Ph.D, is a Professor and Senior Fellow, Woods Institute for the Environment, Stanford University. There is only one God (Isa. 43:10; 44:6,8; 45:5); God is a Trinity of persons, not three gods; God has always been God (Psalm 90:2); God knows of no other gods (Is. 44:8); you cannot become a god (Is. 43:10); and that God is spirit (John 4:24). As man now is, God once was; as God is now man may be. – Lorenzo Snow, ed. Clyde J. Williams , 1. Note: Christian Research Network wrote a paper on The Church of Jesus Christ of Latter-day Saints aka Mormonism. Berean Research has obtained permission to extract some of the information and present it here. The original can be found on CRN.